Alison Gaulden, APR, MBA, is a brand journalism professor, impassioned speaker, student mentor, faculty adviser for PRSSA Nevada and manages internships for RSJ. Gaulden teaches the public relations/advertising courses, media ethics, crisis communication, public relations writing and data, as well as professional development and personal branding within the internship program. For nearly a quarter of a century, Gaulden worked as a reproductive freedom fighter conducting public affairs strategy for Planned Parenthood Mar Monte, the largest Planned Parenthood affiliate in the country. Her role included public policy influence across 40 counties in two states, direct lobbying more than 200 elected officials, grassroots advocacy, volunteer development, media relations, reputation and crisis management, community relations, health center marketing and internal communications. Throughout that time, she served as the spokesperson for the organization in the face of growing hostility in a challenging political environment. She handled several crisis situations, many never reaching publicity. The Nevada transplant owns a consulting business coaching clients in public relations, effective communication, media relations, public affairs and negotiations. Additionally, she has taught public relations to small businesses, including media relations, social media, community relations and more at both Truckee Meadows Community College and through Nevada Extended Studies programs. A PRSA member since 1997, she’s currently Public Relations Society of America (PRSA) Sierra Nevada VP of Programming. She served two terms of the as chair of PRSA Sierra Nevada Chapter 2003 & 2015, as well as PRSA North Pacific District chair in 2017. Her vocation for education includes mentoring members in the Accreditation in Public Relations (APR)process. In November 2018, the chapter bestowed the Hall of Fame award to her to add to her two previous two awards in recognition of her dedication to the improvement of public relations and using her skills for community engagement. Additionally, she serves as faculty adviser for the Public Relations Student Society of America: PRSSA Nevada and its student-run firm Wolf Pack Relations. In both 2015 and 2017, PRSSA named her Outstanding Faculty Adviser of the Year. 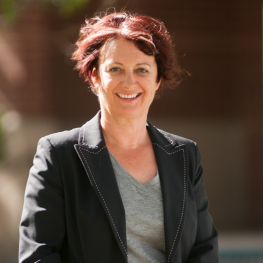 In addition, she’s won three faculty adviser awards and a faculty of the year award from the Associated Students of the University of Nevada (ASUN). In September 2014, Gaulden achieved the Accredited Public Relations (APR) certification from the PRSA. Gaulden holds an MBA in marketing and is an alumna of Reynolds School of Journalism, class of 1992.